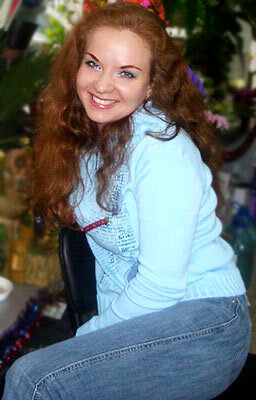 Penza City Meeting - 16768 Elena Vinnitsa (Ukraine) 39 y.o. I like active way of life and I often go to a gym to keep my body fit. I am a sportswoman. I like adore sports like judo and I just love dances, swimming, shaping, travels and jogging. I am very communicative person and that's why I have lots of friends with whom I like going out of the city resting in the nature near a lake far from the noisy and busy city. I can say that I am very serious, tender, attentive, romantic, loyal, clever and romantic lady. I like reading novels and listening to classical music, jazz and opera. I like going to museums, theaters, exhibitions and different night clubs. I prefer Chenese, French, Italian and Ukrainian cuisine. Sometimes I like to stay at home and read some intersting literature. First of all, I would like to meet a kind, honest, cheerful, generous and tender man. I want him to like children and be patient to others. I just want to love and be loved and I want to create a strong and friendly family with lots of kids. I want to have only understanding and love in my life and my family.